6. To foster students’ positive attitudes and interests towards sports so that they can actively engage in daily exercises for physical fitness and thus willing to regularly take part in healthy leisure activities. We organize various kinds of sports practices in the hope of providing opportunities for our students to display their diversified abilities and helping them make daily exercise a habit. Beyond the regular class schedule, we hold different forms of physical education activities from which students can choose their most interested sports to have practices thus improving their fitness level. Students talented in specific types of sports are encouraged to join our school sports team and receive professional guidance by our experienced coaches. 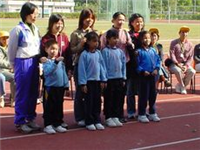 Taking part in different types of competitions can also enrich students’ school life. 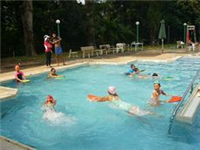 We organize different types of physical education activities including Healthy Exercise Club, Interclass Ball Games, Basketball Team, Football Team, Swimming Team, Table Tennis Team, Gymnastics Team and Athletics Team. Our department also arranges a variety of physical education activities before morning assembly and break or recess time with an aim to help students make daily exercise a habit. 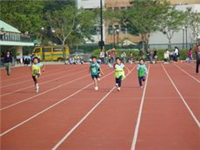 We are active in the participation of Interschool Sports Day, Interschool Ball Games and different competitions organized by The Hong Kong Schools Sports Federation in the hope that students can build up their confidence and build on their strengths. Our students perform very well particularly in football and basketball matches.